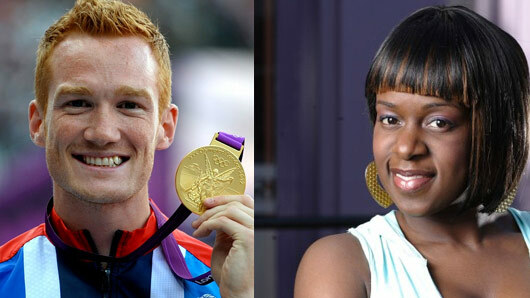 The final celebrities to be confirmed for Strictly Come Dancing 2016 are long jump star Greg Rutherford, Birds of a Feather‘s Lesley Joseph and EastEnders‘ Tameka Empson. Here’s what they had to say. The final celebrities to be confirmed for Strictly Come Dancing 2016 are long jump star Greg Rutherford, Birds of a Feather‘s Lesley Joseph and EastEnders‘ Tameka Empson. The final three stars were announced on Monday night’s One Show, shortly after “Judge” Robert Rinder’s announcement earlier that day. The trio stood behind a screen and emerged only after One Show hosts Alex Jones and Patrick Kielty called their names. Rutherford, who has just returned home from the Rio 2016 Olympics, joked: “This is definitely a long jump from my day job, for sure.” He then seriously admitted he was “absolutely terrified” and had “never danced a step in my life”. Joseph said: “Strictly is an iconic show and I have always loved the glamour and the dedication and the entertainment, and this year it suddenly seemed right to take part.” She added she was simultaneously “scared and excited and apprehensive and thrilled” to take part in the show. Rutherford, Joseph and Empson complete a line up also including Ed Balls, Will Young, Laura Whitmore, Ore Oduba, Melvin Odoom, Louise Redknapp, Danny Mac, Daisy Lowe, Naga Munchetty, Anastacia, Claudia Fragapane and Robert Rinder. Strictly Come Dancing‘s launch show will air on BBC One on Saturday September 3, when each celebrity will learn who will be their professional dance partner.